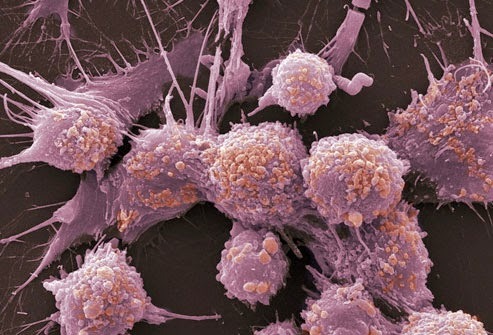 Cancer is abnormal cell growth with the potential to spread to other parts of the body and disrupt normal functions, resulting in illness or death. Claiming over half a million lives per year, cancer is the second leading cause of death in the United States, second only to heart disease. There are over 100 known cancers effecting humans, some being more lethal than others. In all cases, early detection is crucial for improving the chances of successful treatment. Cancer detection typically involves a range of methods and tests but is broken into two stages: Screening and diagnosis. Researchers have provided cancer screening guidelines to encourage regular screenings for potential symptoms of cancer, which differ for each type. Cancer symptoms might include heightened levels of proteins or other byproducts of cancer in the blood, abnormal growths, pain, bleeding, or discoloration of tissue. If potential symptoms appear, the doctor will move towards diagnosis, ordering additional tests to gather more data. These tests can be numerous and costly, and might include PET/CT scans, ultrasound, endoscopy, and MRI for imaging; lab testing on bodily fluids to detect tell-tale biomarkers; and biopsy to collect cell samples for microscopic evaluation by a Pathologist. Using data from these tests, doctors attempt to provide a definitive diagnosis and prognosis to the patient. 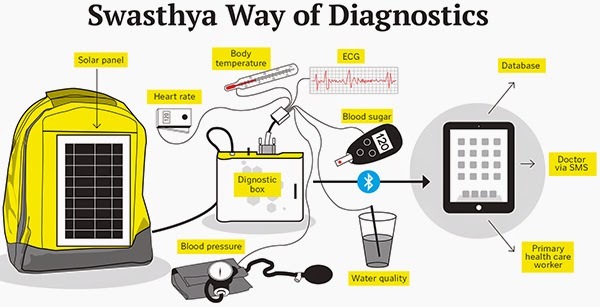 Many of the tests above are very expensive, but entrepreneurs in India are working on addressing an enormous and unmet domestic need for early cancer detection through innovative, low-cost product design. For example, GE Healthcare has developed the gorgeous Discovery IQ PET/CT, representing $15 million and 3 years of R&D at its center in Bangalore. Innovating within the constraints of India, they have succeeded in creating a scanner that's 40% more affordable than comparable alternatives, is modular and scalable to allow for price discrimination, offers a unified service of detection, planning, and assessment through state of the art hardware and software, and is a beautiful machine. The cost savings have come from conducting R&D in India, from redesigning a more cost-effective machine from the ground up, and from manufacturing the machine in India. Currently, India only has about 120 PET/CTs operational in the country, whereas the required number of units to adequately address patient demand is over 1,000. 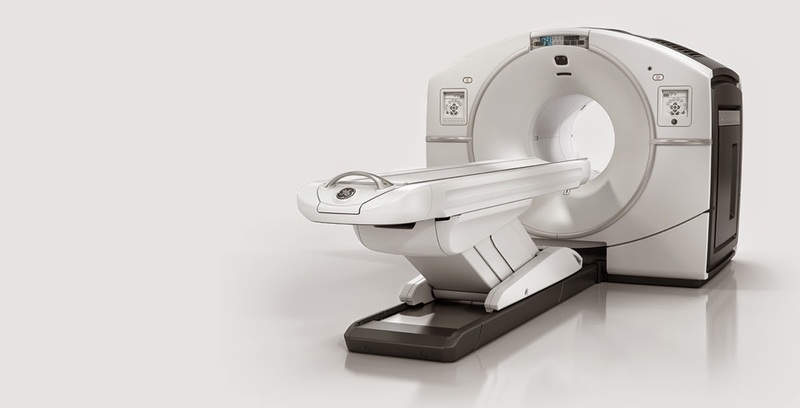 Judging from the CEO & President of GE South Asia Terri Bresenham's remarks on Discovery IQ, GE hopes that the price elasticity of demand for PET/CT scanners in India is flexible enough that a 40% price reduction will help to fill this gap. I hope so, but it may be that more disruptive technologies like CellMax Life may ultimately be what brings early stage cancer detection to the masses of India. 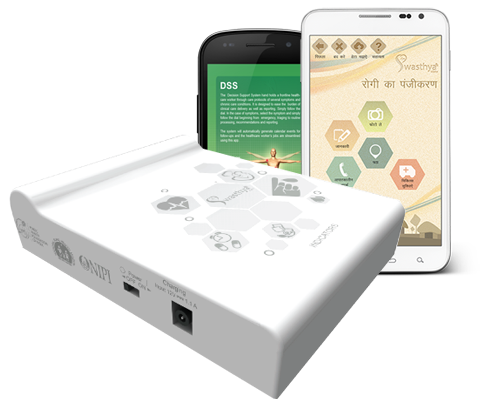 Even if the Discovery IQ does not realize substantial financial returns or market share gains in India, GE and the world can still benefit tremendously because GE has created a superior, low-cost product. Producing 50-slice equivalent CT speed imaging, the highest PET axial view available on the market, the Q.SUITE platform for improved PET quantitation, and the Q.CLEAR platform for up to 2x image improvement (SNR) + 2x improvement in PET quantitation accuracy, Discovery IQ is a PET/CT that gets the job done. Certainly there are PET/CTs that may perform better on any one of these dimensions, but does it matter? For example, some PET/CTs are now capable of taking 512 slices, but since no meaningful diagnosis accuracy improvement was found from the jump between 64-slice and 128-slice scanners, 64-slice scanners generally make for the best value. In fact, according to Niharika Midha at GlobalData, the PET/CT "Hardware has reached this plateau . . . There is only so much that can be changed to the machine." 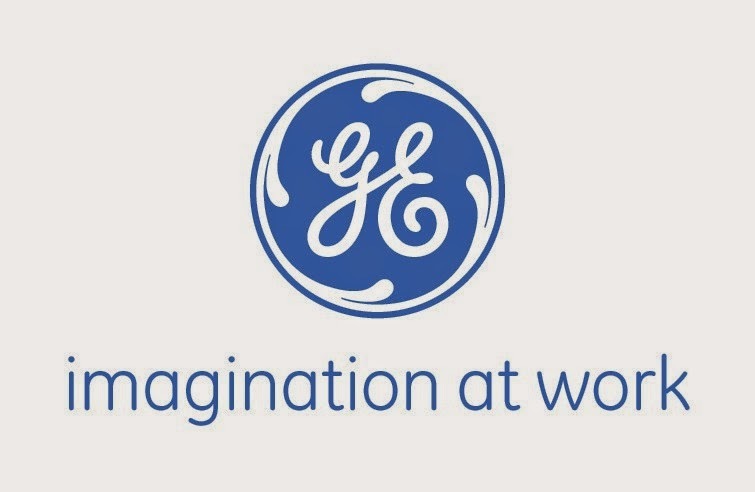 If GE India has tightly engineered Discovery IQ for maximum value (ROI), then this device may sit at the very rim of the performance plateau, including all of the right features, but not overloaded with cutting edge technology and experimental features that price it out value-conscious procurement networks. Given that most PET/CTs cost between $2 and $3 million, the 40% price reduction for Discovery IQ puts it between $1.2 and $2.8 million for cost of acquisition. The median prices for CT scans charged by providers hover between $700 and $900, and the U.S. government estimates that 80 million scans are performed annually. The price for PET scans is about $5,000, but only 2 million are performed annually for Oncology diagnostics. Adding these up, approximately $75 billion is spent on PET/CT imaging per year in the U.S.
Of course, only a minor portion of this total spend could be chalked up to equipment cost, so if we instead look at the lowest PET/CT scan costs, and assume the imaging centers offering such low prices are highly efficient so that the overhead and profit margins per procedure are small, we might say that the 40% equipment cost savings generated by Discovery IQ could be passed on rather directly to the end payer. The lowest prices charged for CT scans seem to be around $200, and the lowest for PET scans around $1,200. Reducing these costs by 40% and multiplying by the yearly number of procedures shows a potential costs savings of nearly $7.5 billion per year. This begs many questions. Could GE keep the cost this low in selling to PET/CT providers in the U.S.? If not, how much of the 40% cost saving be eaten up, and by what? Would GE even want to disrupt their home PET/CT market by importing Discovery IQ? Certainly short-term financial analysts held captive by Wall Streets valuation process would balk, as would the sales force taking lower per sale commissions. On the other hand, volume can make up for decreased unit margins, and such a move may gain GE significant additional market share. Also, the modularity of Discovery IQ might result in natural price discrimination, where the highest-end clients are able to pay for additional functionality, and could widen the base of the market by making a basic PET/CT available to clinics previously unable to afford one. Should GE disrupt themselves by importing and commercializing Discovery IQ in the U.S.? If so, what main barriers would they face? Since the USFDA approved cardiac stents in 1994, there has been tremendous growth in their use, to where 700,000 are implanted in patients annually in the U.S. alone. Manufacturers' sales of stents reached $5.5 billion in 2012. The price of stents has followed the broad pattern of decline typical among innovation life cycles. Bare Metal Stents (BMSs) were first priced wholesale around $1,600 in the early 90s, but today the average cost is around $700 each. Drug-eluting Stents (DESs) were a new model introduced in the early 2000s that have helped marginally reduce potentially fatal angioplasty complications, such as blood clotting. These were originally priced around $3,000, and now cost about $1,500 each. According to Bloomberg, "Hospitals receive an average payment of about $25,000 per stent case from private insurers . . . [and] Doctors who implant stents earn a separate fee that averages about $1,000." The stent cost, then, only comprises ~5% of the total price of implantation, not to mention the ongoing costs for the patient, including blood-thinning medications, which are prescribed as a matter of course to mitigate the risk of restenosis. Until 2001, India imported nearly 100% of stents used, although there were successful early innovation efforts at lowering the cost of stents through indigenous innovation. 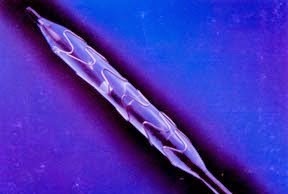 A network of doctors and engineers at Care Hospitals, Mediciti Hospitals, and the Society for Biomedical Technology pioneered a low-cost coil stent patented as the Kalam-Raju in 1995, crashing the prices of imported stents by several factors, and remained about 50% less expensive, costing around $250. One of their main reasons for creating a low cost stent was that the reason for the "very low number of cardiac procedures carried out in India is poor affordability arising from the high cost of imported consumables." Depending on the report, there were about 2,000 Kalam-Raju stents implanted before mesh designs replaced the coil stents. Indian innovators have generally trailed the major OEMs in stent innovations, so the design shift from mesh to scaffolding, and the biochemical shift to drug-eluting stents have not been kind to the market for indigenous stents in India. There remains a general mistrust of locally manufactured products among large, urban hospital systems, who remain the largest buyers of stents. These developments have maintained a high import price for foreign stents in India, and some reports show patients paying up to three times the import price for stents! Needless to say, the penetration of angioplasty in the Indian market remains tragically low. Of course, the high price of consumables is not the only reason for this. Another is the very low number of cardiologists in the country. Insured patients in the U.S. will pick the new generation DES every time for a .2% risk reduction, but the potential for disruptive innovation lives on in Indian healthcare, where only some 25% of the population even has access to some form of insurance, so that patients often haggle extensively with providers on costs for which they pay out of pocket. $200 is a already a low price for a stent, but the Indian OEMs give a further 25% discount to hospitals who buy directly from them, bringing the cost to $150. Furthermore, the Indian Council of Medical Research is currently conducting a study comparing the quality of imported vs. indigenous stents made by companies like Opto Circuits India, Sahajanand, Translumina Therapeutics, Vascular Concepts, and Vasmed Technologies. If they find similar levels of clinical outcomes, this would help drive domestic uptake, and further decrease the price through economies of scale, perhaps to around $100 each. Hospitals using fee-for-service reimbursement may desire to purchase lower cost stents, where 'cathlabs' have become valuable sources of profit at fixed reimbursement rates. Just switching to a $500 Indian DES from a $1,500 U.S. DES would save a hospital performing 2,000 implants per year $2,000,000. In time, payers will reduce reimbursement rates as low-cost stents contribute to low-cost implant procedures, further enabled through remote surgery trends and other efficiency gains. In the meantime, it may already be the case that ACOs and other specialized surgery centers in the U.S. who are incentivized to reduce costs at or above average outcomes would be interested in offering patients a choice between a $100 BMS with a 1.5% chance of Thrombosis, or a DES for $1,500 with a .9% chance of Thrombosis. What's stopping low cost stents from being adopted in the U.S. today?